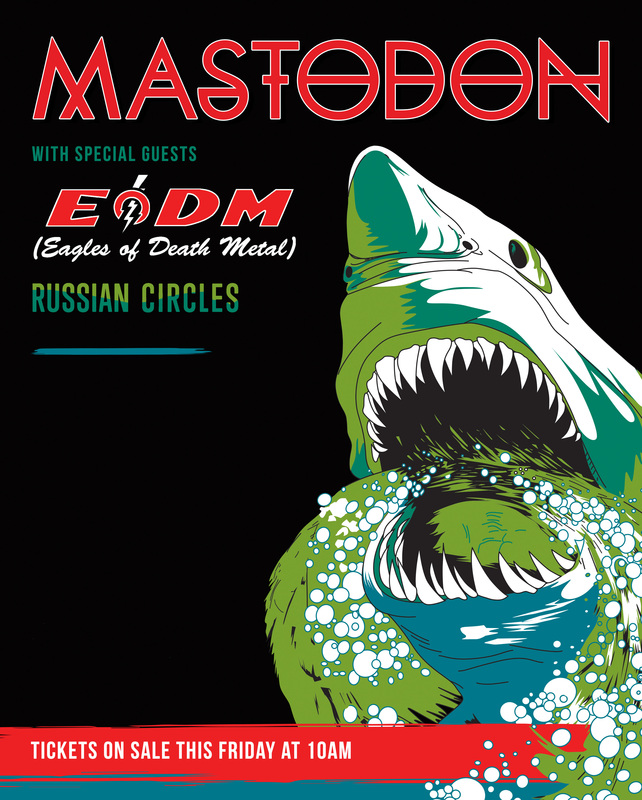 EODM (Eagles of Death Metal) announce a new North American Spring tour today, with co-headliners Mastodon. The tour begins April 14 in Missoula, Montana, running through May 20 in Austin, TX. The trek also includes festival stops in Las Vegas, Jacksonville, Fort Myers, and at Concord's Carolina Rebellion. All tickets for the tour with Mastodon go on sale this Friday, January 13 (see dates below). Visit the tour section for all info regarding upcoming shows and ticket information.